The annual BioResearch Product Faire™ Event at the Fred Hutchinson Cancer Research Center in Seattle, Washington is popular both amongst researchers and lab supply companies. This vendor show gives lab suppliers the chance to demonstrate their products to Seattle area researchers searching for new equipment to use in their labs and with their research projects. 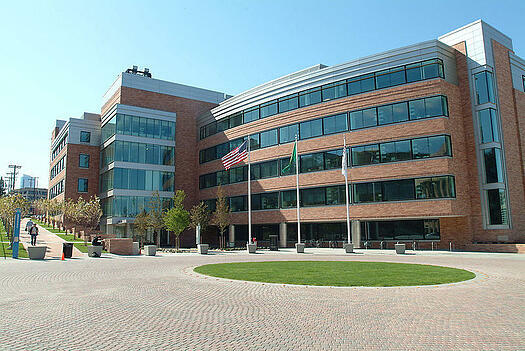 The goal of the Fred Hutchinson Cancer Research Center is to study and find cures for cancer and infectious diseases. Since it's opening in 1975, the Fred Hutchinson Cancer Research Center has pioneered many lifesaving cancer research breakthroughs and is still the only comprehensive cancer center in Oregon and Washington. 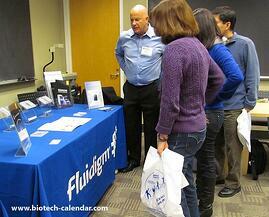 Last year, the BioResearch Product Faire™ Event at Fred Hutchinson Cancer Research attracted 157 attendees. 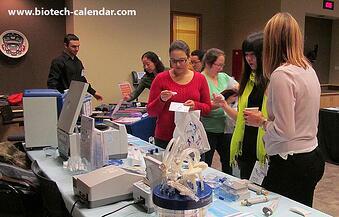 Of these attendees, 46 were purchasing agents, professors and post docs, and 21 were lab managers. These attendees came from 9 different research buildings and 16 on-campus departments that study a wide variety of cancers and diseases. View the 2014 photo gallery here. Annual research budget close to $400 million. Uncovering colon cancer’s genetic roots is the focus of a new $13 million, four-year, National Cancer Institute-funded project at Fred Hutchinson Cancer Research Center. The upcoming BioResearch Product Faire™ Event at the Fred Hutchinson Cancer Research Center on August 12, 2015 is a prime opportunity to see the newest laboratory technologies available and to network in the Northwest Life Science Community. It is a chance for lab supply companies to meet face-to-face with researchers on campus in a fun and professional environment.